Sports mats are different from other kinds of mats and come in many forms. It is necessary to get the right mat from a trustworthy and renowned Sports Mats Manufacturer. To understand what kind of mat will be suitable for your game, you need to know about their type and how they are different. Folding Mat: As the name suggests, the mat can be folded to make it comfortable and easy to handle. This type of sports mat is made of expanded polyethylene form and durable synthetic fabric. It is divided into different sections which enable it to be folded easily. You can choose this mat depending on thickness and color you require. Fixed Mat: Like folding mat, it is also made of expanded polyethylene form and has similar properties, such as easy to handle and availability in thickness. From a good and reliable manufacture, you can get this mat in three forms: Pro, Club and Eco. Judo Mat: Especially for judo, this type of mat is made of high quality Bonded Polyurethane foam. It comes with extra stability to make it more beneficial. 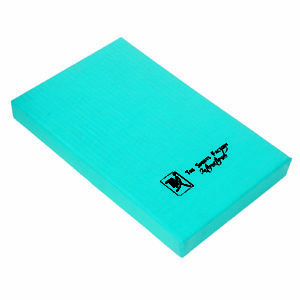 Fitness Mat: This kind of mat is ideal for yoga and fitness exercises. Gymnastic M at: Mats falling under this category can be used for a number of purposes, ranging from gym flooring and gymnastic purposes. To get a high-quality sports mat, you should get it from a well-known and reliable manufacturer. If you are buying it online, ensure that the manufacturer has provided detailed information about the mat with a picture of it on the website. In addition, there should be an option of ‘quote request’ to know more about the product and its manufacturer. Buy the mat depending on purpose it is going to serve.